Before I write an F & K post, I check my Favorites (on Precious the Laptop). That’s where I keep all the links to websites or blogs of interest. Often, I share those favorites with you. Like today, for instance. Originally, I’d marked The Storyteller’s Scroll (a blog by Gayle Krause) for a poetry contest. Usually, I save a specific post. But for some reason, I threw Gayle’s blog address into the Favorites file. 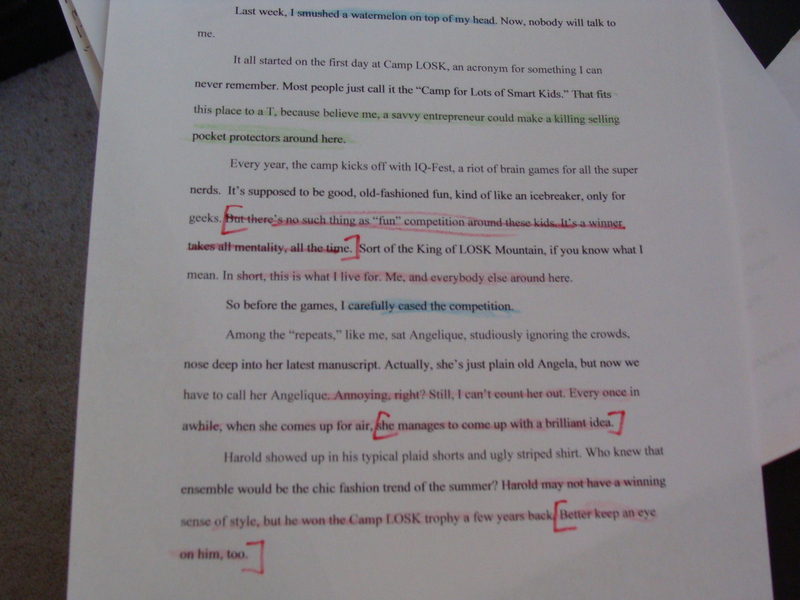 So what came up today was a post about a colorful critiquing method wherein one uses different colors to highlight different elements in a manuscript. Say, red for tension/conflict and blue for dialogue. Or you can highlight descriptive phrases or “telling” phrases. What you end up with is a manuscript where you can quickly and easily find your strengths and weaknesses. Now, I’ve used this method before, but it’s been a while back. The funny thing is (at least, to me) that I’ve seen this technique mentioned sev eral times now. And I don’t believe in coincidences. So I figure my muse is trying to tell me something. I grabbed a few colored pencils and a manuscript to show you how this technique might work for you. But I think I’ll keep my colored pencils handy. Because when Gladys the Muse Goose talks…I listen.